I gave this book 3.75 stars. It was a ride. It took me a while to get into it. 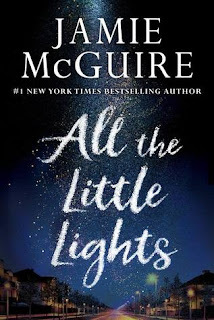 All the Little Lights is one of those books that starts off slow and just builds and builds rapidly at the end. It’s an adrenaline rush. All the little pieces of this book that never quite make sense really come together in the end. It’s actually a really cool plot. 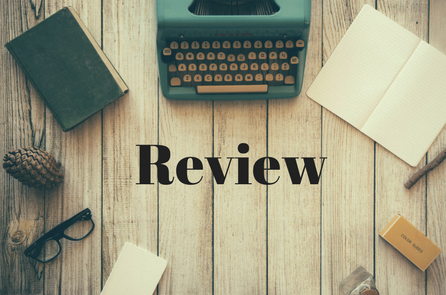 From reading the synopsis you would not expect the sheer amount of drama that happens throughout this book. It’s insane. It’s all really insane. This book isn’t like anything I’ve read from Jamie McGuire before. If you’ve read Beautiful Disaster, this isn’t like that. Not at all. Maybe the characters, but not the actual story itself. Now onto my feelings about the actual characters. I liked Catherine enough. She was one of those okay characters that didn’t really have any bad attributes, but she didn’t have a lot of personality either. Now, Elliott, there were times when I loved that guy. He seemed so sweet and wanted only good things for Catherine. He wanted to take her away and give her the life he thinks she deserves. However, I can’t get over the door punching and the tree punching and the people punching. There is a difference between getting in a lot of fights and being overly violent. This guy had major anger issues and honestly, if he were real I don’t think I would be surprised if he was a suspect in a murder case. This guy just could not keep his cool. Now, the one relationship I was happy about was Mr and Mrs Mason. They started out the book getting a divorce and they just were not happy together and were supposedly moving on. One thing I remember reading was that marriage is about working at it. A lot of divorces happen when both parties just give up. The marriages that last are the ones where the two continue to work on their relationship knowing it isn’t perfect. Mr and Mrs Mason reminded me of that. They were on the brink of divorce, but they found that they still loved each other and decided to work through everything because they had been together so long and still continued to love each other. That I think is a good representation of a healthy relationship.